Training is a very important component of our culture at Merit Electrical Group. Because innovation is one of our Core Values, we seek new technology and improved processes to support that innovation. As a result, Merit invests in training initiatives to ensure the development and success of our employees. 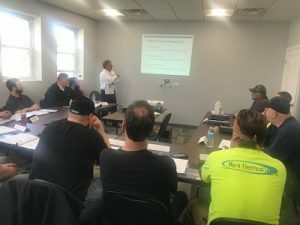 We tailor education needs with what our employees want to learn, in addition to providing up-to-date information on new technology, electrical processes and company procedures designed to enrich and empower our staff.